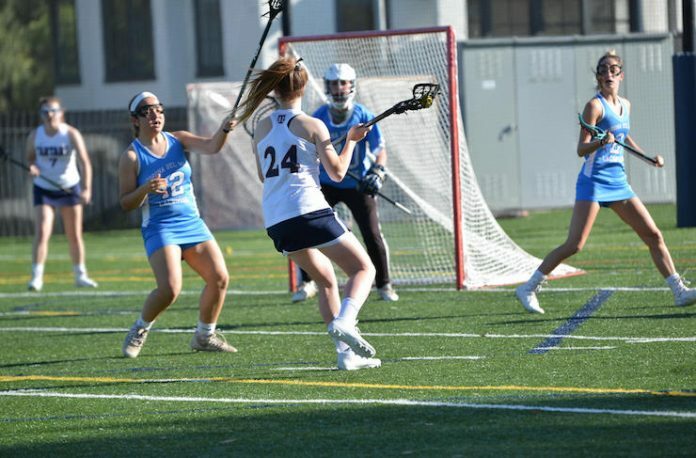 St. Margaret’s freshman Campbell Case has committed to play NCAA Division I women’s lacrosse at Johns Hopkins University. Case’s 64 points (41g, 23a) was fifth-best on the Tartans’ high-powered offense this year. St. Margaret’s coach Holly Reilly has known Case for four years and she thinks the Blue Jays are very fortunate to have landed Case. With her college decision now behind her, Case is ready to focus on bringing a championship to the Tartans.